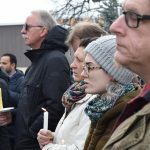 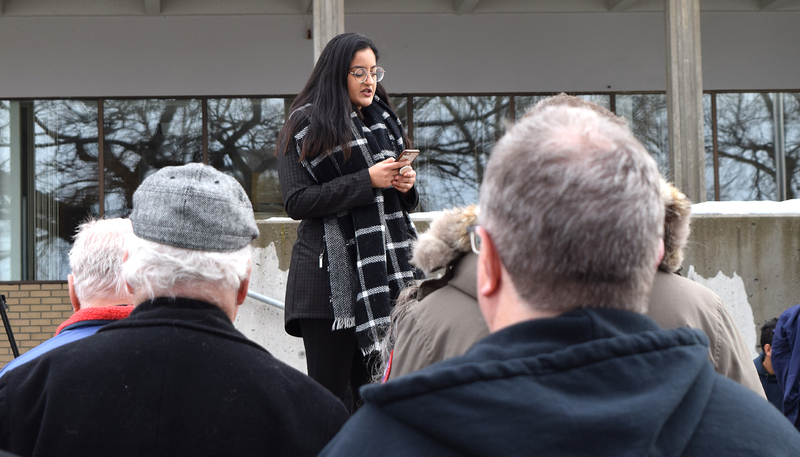 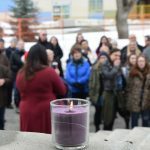 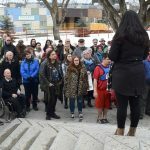 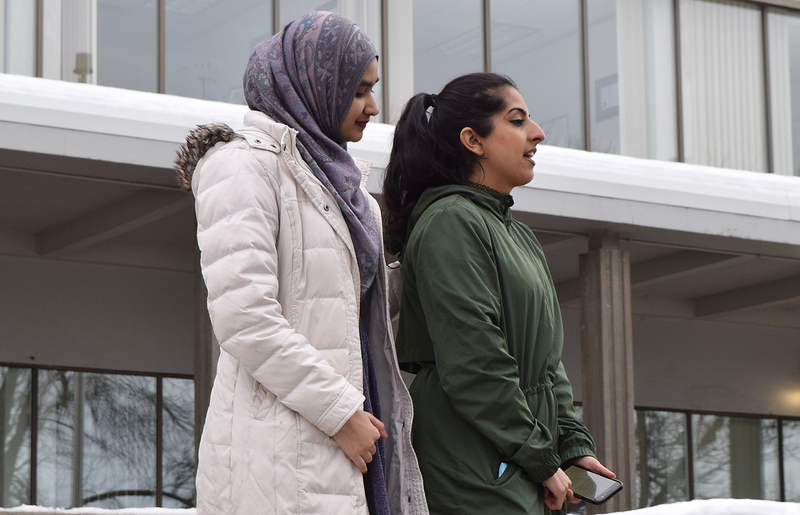 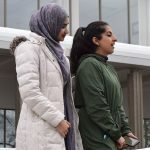 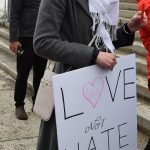 Fizza Rashid speaks at a vigil held at Prince George City Hall for those killed and injured in an attack on two mosques in Christchurch, New Zealand. 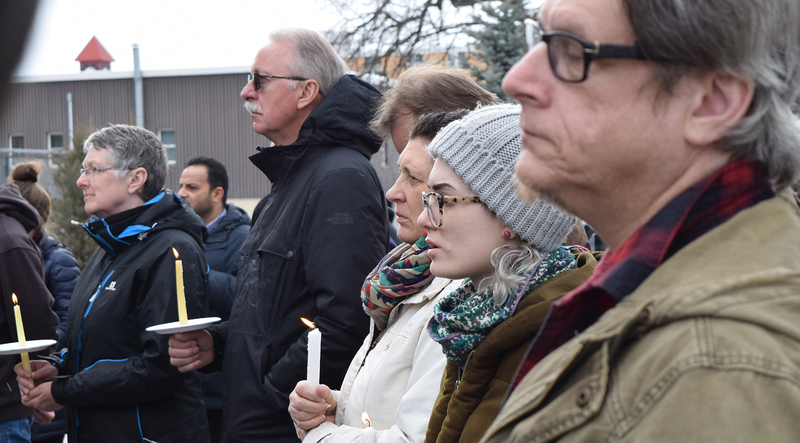 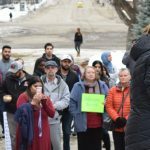 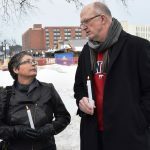 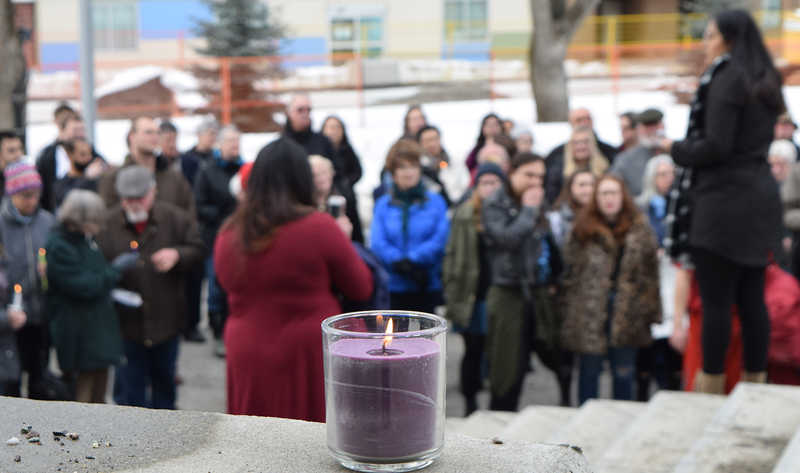 More than 100 people attended the vigil. 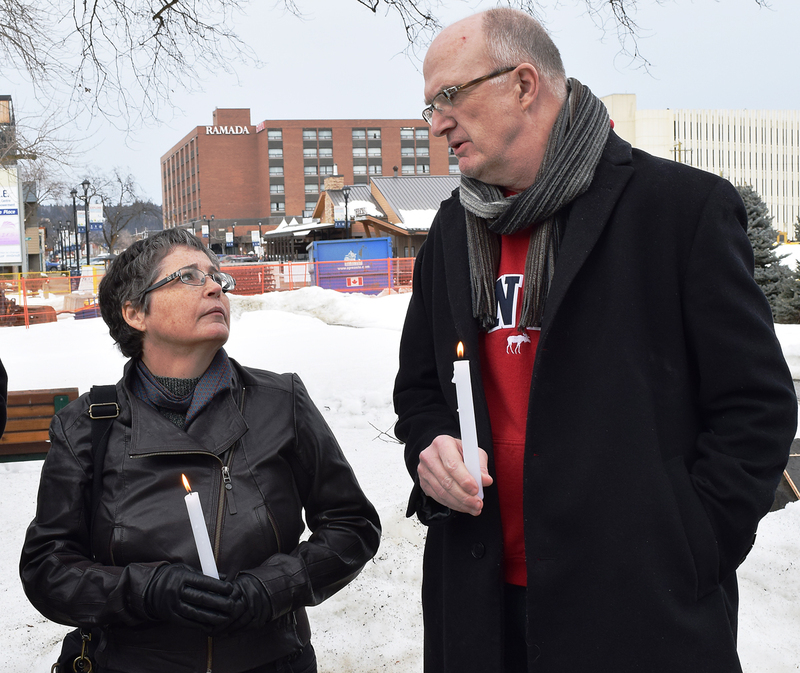 Lila Monsour, who grew up in Prince George, also spoke at the vigil. 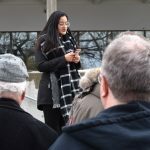 Sikh Neelam Pahal speaks during the vigil. 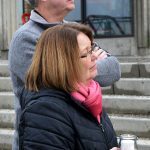 Prince George-Valemount MLA Shirley Bond at the vigil. 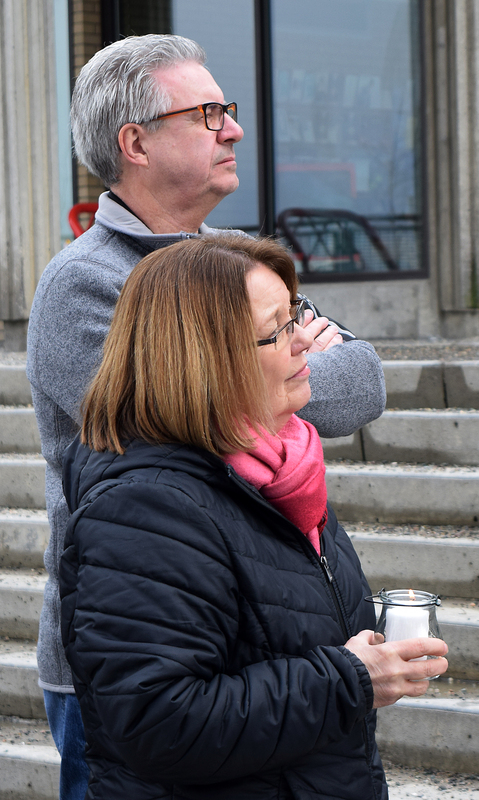 MLA Shirley Bond and Mayor Lyn Hall.